The premise of the film is fairly straightforward. In 2018, after the world wars and the corporate wars, peace reigns across the planet, but at the cost of any sense of local or national level control. Individual countries have been replaced by six Corporations, with all decisions being taken by the Executives, a mysterious elite whose ulterior motives are only hinted at as the film progresses, but who very obviously fear the global rise in popularity of a single sportsman. 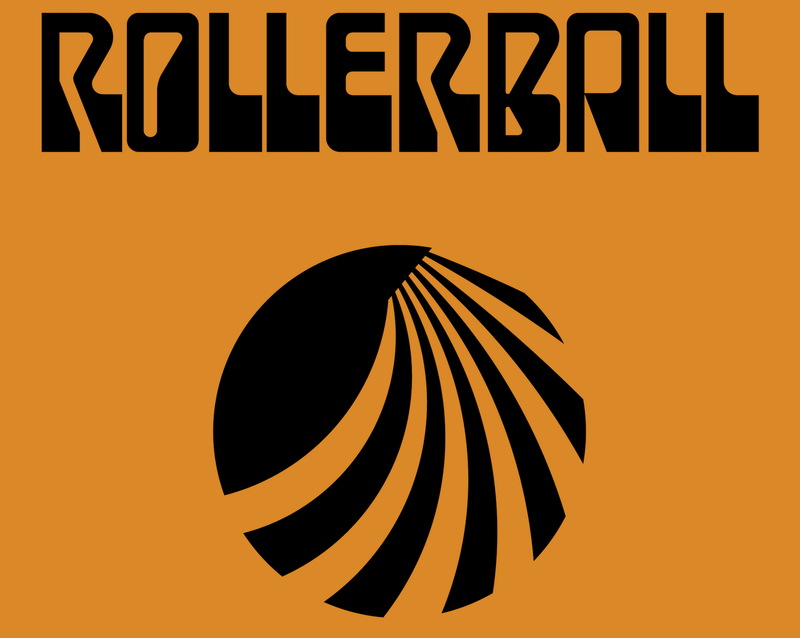 The aforementioned James Caan, or Jonathon E as he is known to his millions of fans, is the king of Rollerball, a sometimes violent global sport involving motorbikes, roller skates, studded leather gloves, helmets and a steel ball. A game whose rules are changed, seemingly at whim (and never in favour of the players) so increase the spectacle and continually raise the stakes. Anyway, it was the use of the then recently completed BMW building in Munich, as the headquarters of the Energy Corporation that has prompted this post.. 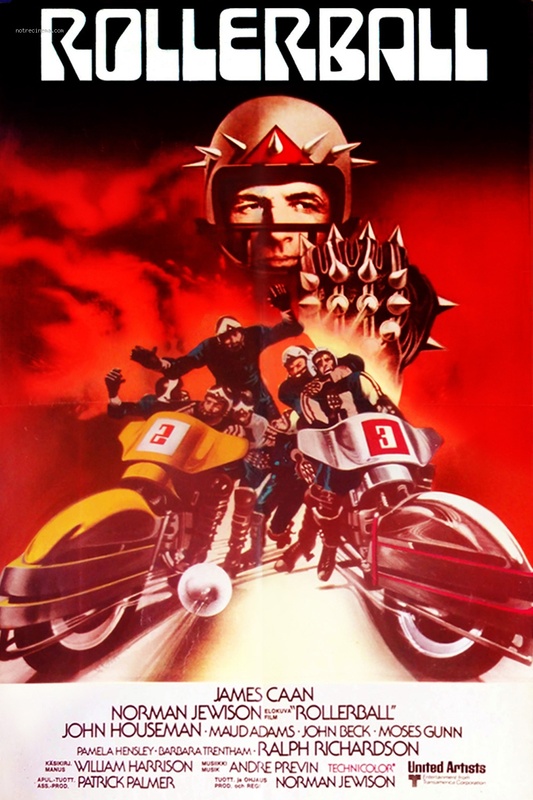 Designed by the Austrian architect Karl Schwanzer, and constructed between 1968 and 1972, the form of the building was intended to represent cylinders in an engine, whilst the adjacent museum, which also featured in the film but as a totally separate building, supposedly represents a cylinder head. 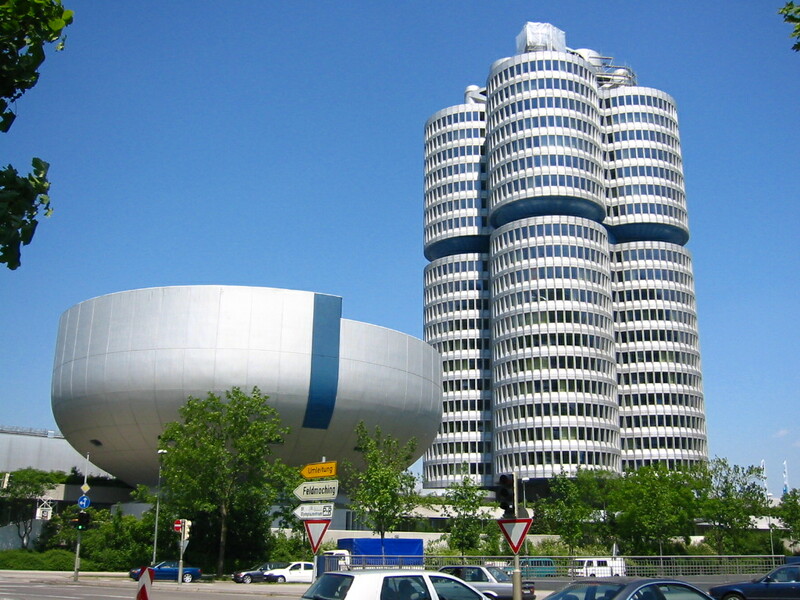 The large BMW badges at the top of the tower were removed for the film and replaced with the orange circles of the Energy Corporation, a move that echoed incidentally, the badges removal for the 1972 Munich Olympics, in compliance with the Olympic Committee’s rather draconian branding/sponsor rules. 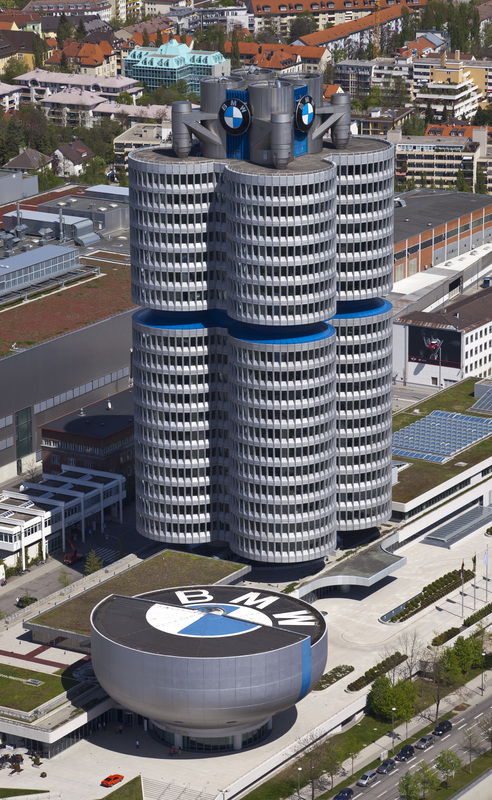 I think the BMW building was also used in a sequence where Jessica Harper meets Udo Keir in Suspiria too.